The Senate Judiciary Committee just scheduled a vote on Judge Brett Kavanaugh's confirmation, which will take place at 9:30 a.m. on Friday, CNN reported. According to Taylor Foy, a spokeman for Senate Judiciary Committee Chairman Chuck Grassley (R-IA), committee rules state that a planned voted must be posted three days in advance. The vote will come one day after Dr. Christine Blasey Ford is scheduled to testify before the Committee about her alleged sexual assault encounter with Kavanaugh. 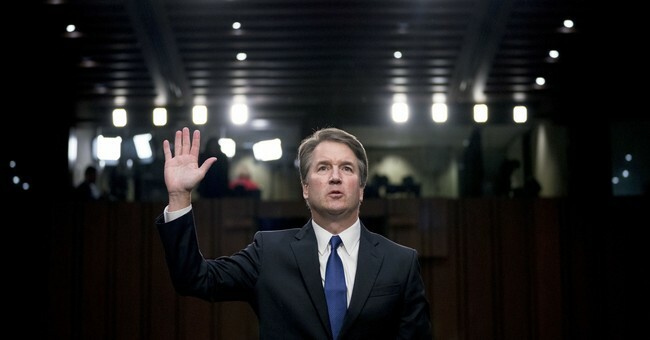 If the Committee approves Kavanaugh's nomination, a vote will then be opened up to the entire Senate chamber where they will determine whether or not he will sit on the Supreme Court.